The CASA C295 is a tactical transport aircraft. Versatile, robust and with the lowest life cycle cost of any aircraft in its category, the C295 is capable of carrying out a wide range of missions with maximum efficacy: tactical and logistical transport, launch of paratroops and loads or medical evacuation. 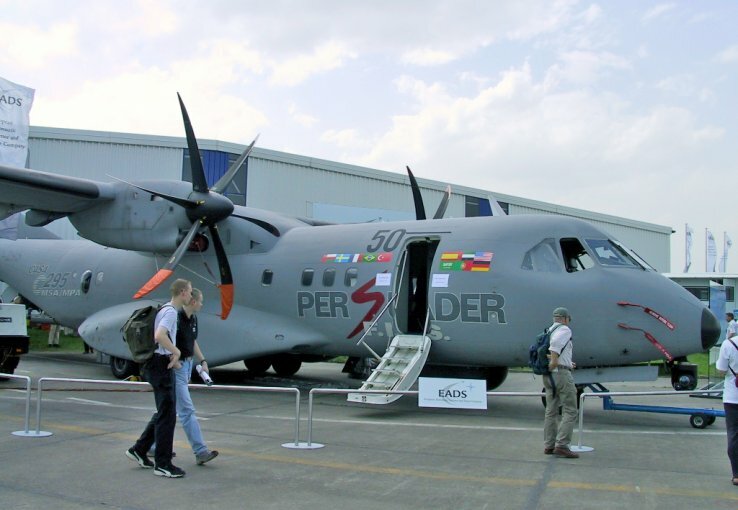 The C295 can operate as a single type fleet or as a complement to heavier airlifters. It has been designed to operate from short runways in austere environments; its light footprint allows the use of soft-surfaced fields. Bulky cargo can be easily loaded or unloaded through the rear ramp door, which can be opened in flight for airdrop operations. The C295 can take on many of the missions carried out by heavier transport aircraft. The maximum cruise speed is 260 kt (480 km/h).